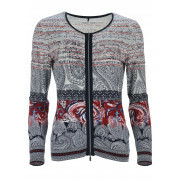 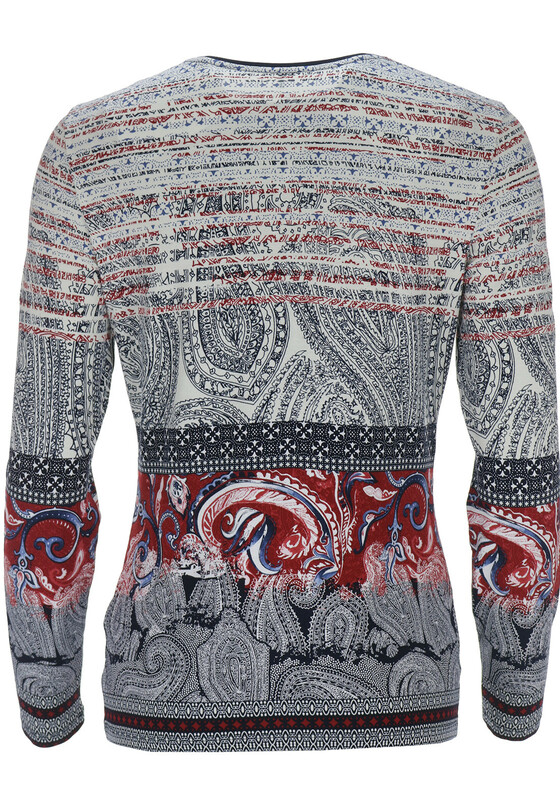 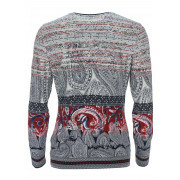 An all over paisley print in navy, wine and white tones gives this cardigan from Gerry Weber an eye-catching appearance. 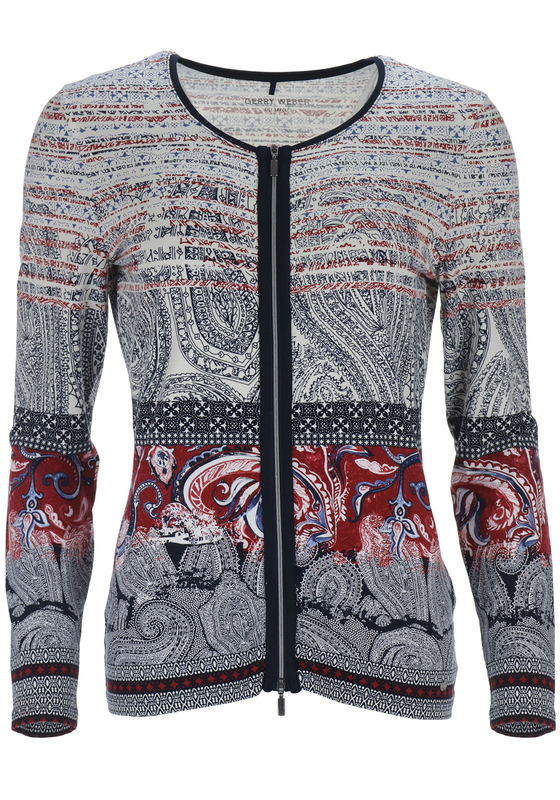 Wear with the matching top to create a charming twinset. 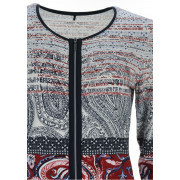 Made from comfortable jersey fabric and designed with a figure skimming shape. 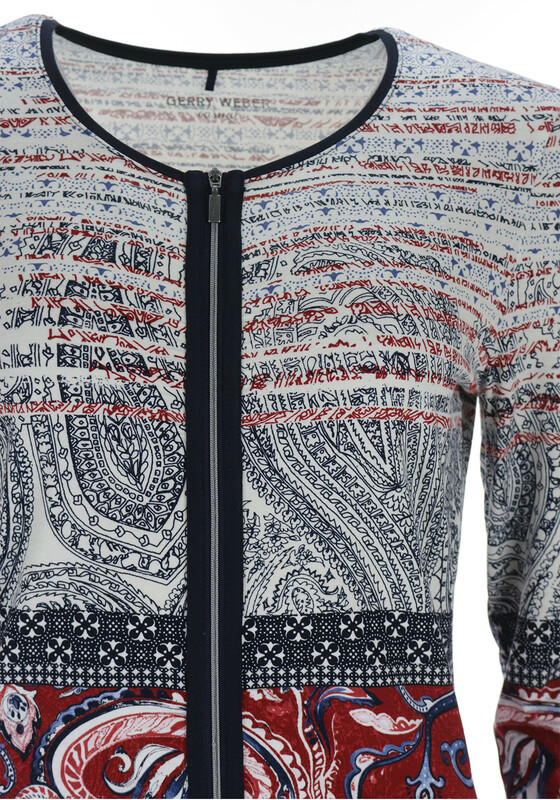 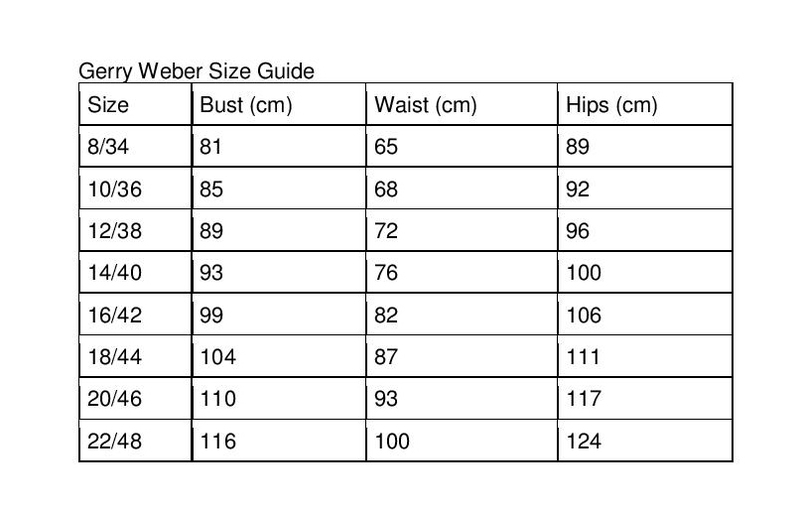 Details include a two way zip fastening and long sleeves.